The Chair Monseigneur-de-Laval includes a capital fund, an operating fund, and a current expenses account. 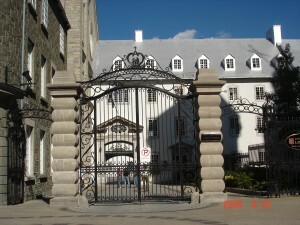 Following an agreement on this between Université Laval, the Oeuvre du Grand Séminaire de Québec and the Fondation de l’Université Laval, the Fondation de l’Université Laval manages, on behalf of Université Laval, the gifts, legacies and contributions collected for the Chair. Amounts given for aims of capitalization by the Oeuvre du Grand Séminaire de Québec or by individuals and organizations which contribute to the Chair, including an initial two-million dollar investment. Designated funds (in agreement with The Income Tax Act) paid by registered charitable organizations which contribute to the Chair. Amounts which the Steering Committee will be able to allocate from the operating funds while taking fiscal requirements into account. The capital fund is never spent and its integrity is preserved by annually capitalizing an amount, taken from the investment incomes, amounting to the average rate of inflation. Except for the amounts put aside by donors for aims of capitalization, all the other gifts as well investment incomes are paid to the operating funds. It is from this fund that the amounts allocated to the various projects adopted by the Steering Committee of the Chair are taken. The current expenses account is an account opened up by the Service des finances de l’Université Laval and in which the amounts demanded by the Steering Committee, following the approval of projects, are paid.